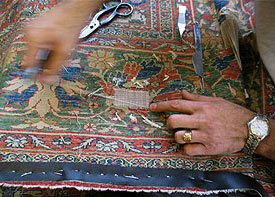 We have served Persian rug repair needs of our clients in Marina Del Rey since 1980. Call and bring your rugs to our showroom for inspection and advice. We also offer pick up and delivery including in zip codes 90295 and 90292. Antique, vintage, collectible, family heirloom or new, all handmade rugs are works of art. 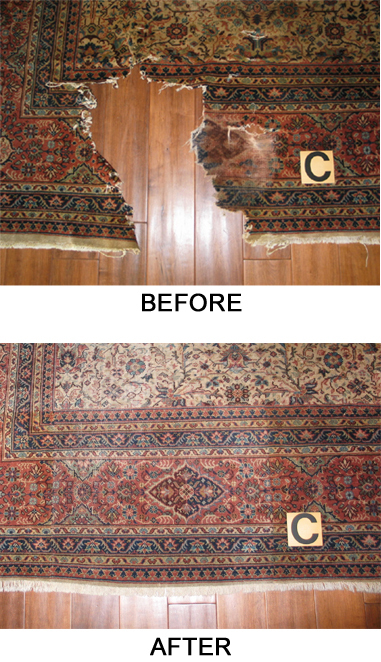 While in use rugs should be maintained properly. We suggest following the maintenance and conservation recommendations outlined in our RUG CARE section to keep your rugs in good condition. 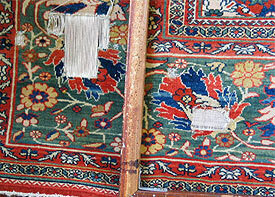 And when accidents cause rug damage we advise to repair sooner than later to avoid possible other loss. The experienced rug restorers at our repair workshop will inspect your rug and consult with you for maintenance and repair options. Over the years we have repaired all types of handmade and machine made area rugs — Oriental, Persian, Navajo, mechanical and other. We have handled small and extensive repair projects. 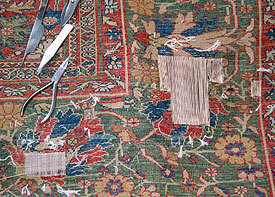 See few sample Before and After image of previous rug repairs by clicking the link below.